(Last Updated Apr 2019) – Cooking is as much a science as it is an art. Getting the right temperature and even heat requires as much precision as you would need in a chemistry experiment (if you want real good results). In achieving this, the quality of the cookware plays an indispensible role. Good quality cookware like copper bottom cookware can make a huge difference. Poor quality cheap pans can ruin your food no matter what ingredients you use. Uneven cooking, heat spots and burnt food are some of the many problems that some shoddy cookware can cause. There is a huge variety of cookware available on the market and most of the time people are generally tempted to buy the cheaper ‘sets’ thinking that quantity is more important than quality. But what we don’t realise is the simple fact that a one-time investment in high quality cookware will set you up for many years to come. One of the best examples of high quality cookware is bourgeat copper cookware. Not only is this cookware high on functionality, but it has a great aesthetic appeal too. There are some things in life that you like to flaunt; a luxury car, designer dress, diamonds, but cookware can certainly never be a part of this list. But if you have copper cookware; you won’t mind flaunting it. It has been a favourite amongst culinary and gastronomic experts for centuries. It has always been considered the elite of cookware, owing to its beautiful metallic sheen that gives it a beautiful appearance, and of course, its admirable workability. Copper is known as one of the best conductors of heat. So, it gets heated up quickly and evenly. In copper bottom cookware the heat is evenly spread from the bottom to the walls and edges.This ensures that food cooks evenly from all sides. Heat spots are unheard of in copper cookware. Because copper conducts heat so well, it heats up quickly and cooks food in much less time than your regular cookware. Copper cookware is designed to stand the test of time. Copper is an extremely solid metal, which is not affected by prolonged and daily use. You won’t have any trouble with handles falling off at this level. Cheaper cookware starts to chip or crack over time. One small scratch is enough to completley wreck a non stick pan and metallic cookware is especially prone to rusting and gives away too soon. High quality copper cookware, which has been polished well, can serve you for years and years and years – and then you can give it to your children. It offers you the best that you can seek from cookware- quality, beauty, sturdiness, durability and fuel efficiency. You serioulsy couldn’t ask for anything more. Copper cookware has long been considered the king of all cookware. 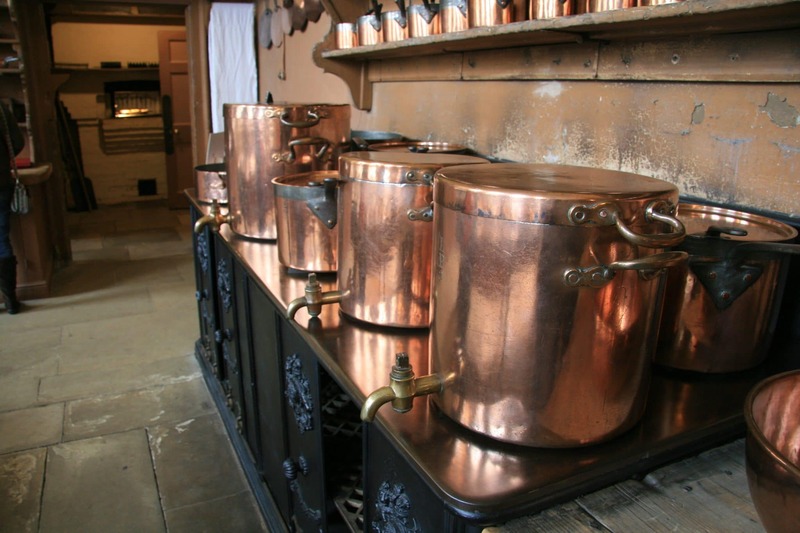 Copper pots and pans are a great choice for any kitchen. Whether you are an expert cook, who has to dish out sophisticated culinary delicacies, or a novice conducting her first experiments in the kitchen, this cookware can make cooking pleasurable and hassle free. The best thing is that you get ample control over the heat. As soon as you turn the knob to regulate the heat, the copper cookware will respond quickly and adjust. So, you can cook food perfectly leaving nothing to luck. There are two main brands that we recommend looking at if you are contemplating making the step up into the world of copper. The first is Bourgeat and the second Mauviel. Both of these brands make excellent cookware and comparing them is like comparing a Ferrari with a Lamborghini – so we will let you make your own choice. 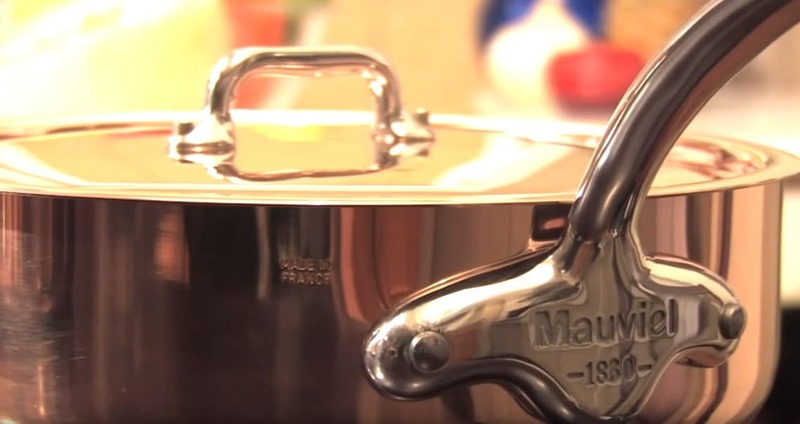 Bourgeat copper cookware or Mauviel copper cookware is indeed a great investment for any home, but you should be well prepared to take the price shock. This cookware would cost you far more than any of the regular cookware that you find on market. But the fuel efficiency, durability and quality of cooking can very well compensate for the price. If you don’t want to disturb your budget too much, then it is always a great idea to start replacing your cookware slowly. Start with a single matfer bourgeat fry pan and then slowly build upon that. Amazon has some sets of copper bottom cookware at really great prices and remember these things will last you a lifetime. Kitchen Hand, I love my Mauviel and buying pretty much changed my life in the kitchen (which is a big call as I spend a lot of time there anyway). On the cost front a tip – if at all possible, get it in France and ship it home – far cheaper (particularly as they then won;t charge the 20% French VAT). And it’s worth it to stick to the thicker copper range (the 2-2.5mm copper stuff) – if you are going to mortgage the house for this stuff, do it properly. I just got a big roasting pan to round out the collection and it made the best roast chicken last night, of any roast ever cooked, ever, anywhere. I love the copperware. I think a new religion AND political party should be started, based on its awesomeness. Awesome Caroline .. how long have you had yours ? Only since last November (after lots of research before a trip to France)! All other saucepans have been relegated.